Jitters Rise in Europe As Merkel Can’t Form GovernmentIf Angela Merkel can no longer govern Germany, how can Germany govern the EU? Catalonia’s Independence Drive Is a Critical Stress Test for Spain’s DemocracyOne of Western Europe’s youngest democracies, Spain risks backsliding into authoritarianism, or even civil war. 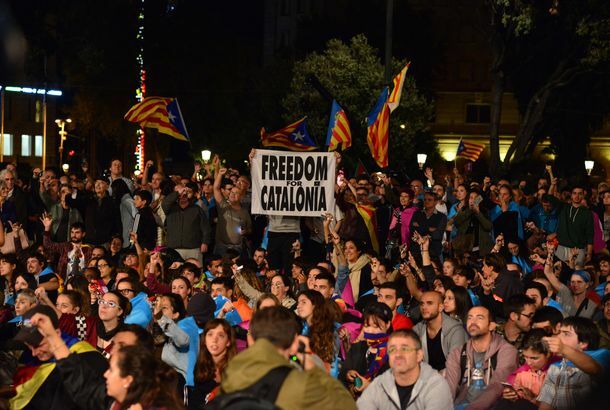 Catalonia Is Making Plans to Split From Spain by 2017The northern region doesn’t care what the rest of Spain thinks. Steven Spielberg and Dreamworks Fulfill a DreamPlus: Sherri Shepherd goes solo.